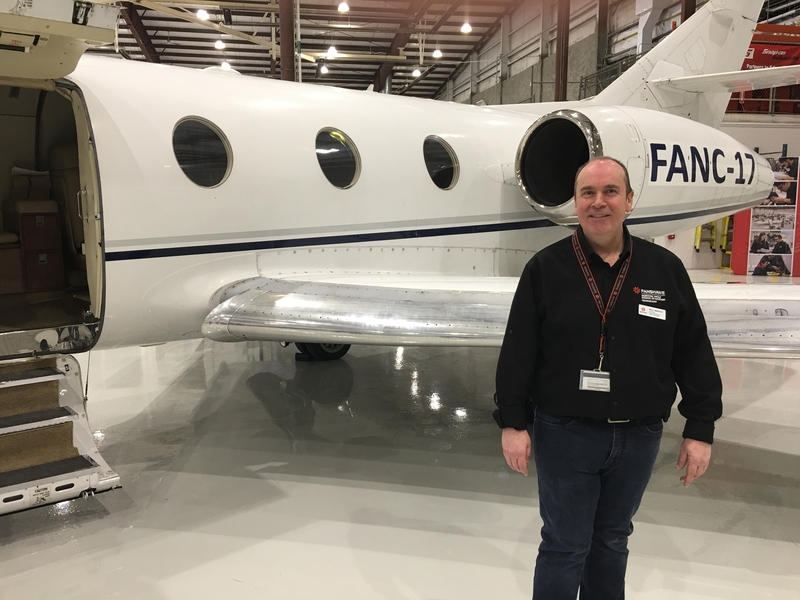 Fanshawe College's Norton Wolf School of Aviation welcomed visitors to an open house on March 24. Dozens of guests toured the school's impressive training facility housed in what used to be the Jazz hanger at London International Airport in London, Ont. Instructors and students were on hand to guide visitors through six classrooms, three avionics labs, two battery-testing labs, a composite layup room, a metal shop, an A320 maintenance simulator room and the huge 50,000-square-foot hanger floor easily housing around 20 aircraft plus multiple engines, components and work tables. Tours included a chance to poke around inside the array of aircraft the school has on hand for students to work on. The list includes a 727 in cargo configuration, a Dash 7, a Hawker 400, a Falcon 10, two helicopters and about a dozen other general aviation aircraft. Most have been donated to the school, and several of them are in working condition. The Norton Wolf school offers two-year programs in aircraft maintenance and avionics. The programs have seen substantial growth recently, doubling their intake in 2016 and now hosting about 200 students taught by 12 instructors. International participation is strong with about 40 per cent of the students coming from outside the country. Sault College provides the structural repair component of the maintenance program in partnership with Norton Wolf. Photos of the facility are available on Facebook.